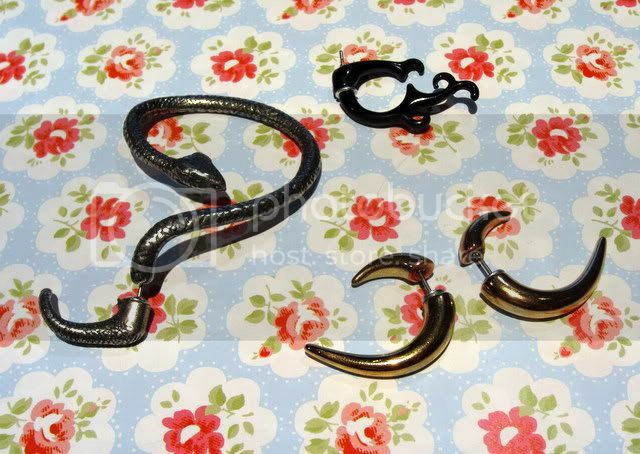 I've become obsessed with ear tunnels and ear cuffs, I've found that ear cuffs tend to hurt my ears as I have quite big ones (ears) and the cuffs tend to be too small, but I love ear tunnels! Here are some of the good uns I've found online. 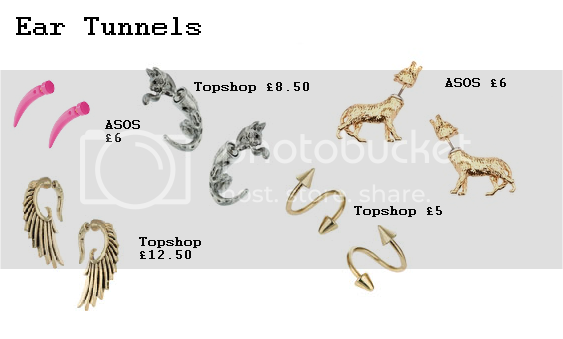 lovee ear tunnels - i have a few but need to get more of the Topshop ones because they are gorgeous!